Referencing through social networks is nowadays a must. The idea is to accentuate the notoriety, not of your Facebook account, but that of your website, this through social media. Of course the activity of your social accounts is a MUST because it is through them that we encourage people to visit your website. It is therefore essential to carefully design one or more annual campaigns, which must focus on the target customer with potential purchase. In clear and precise terms, do not draw everywhere, this has the effect of reducing the efficiency sought by such campaigns and unnecessarily increase the costs associated with them. Campaign management on social networks can take time and energy. 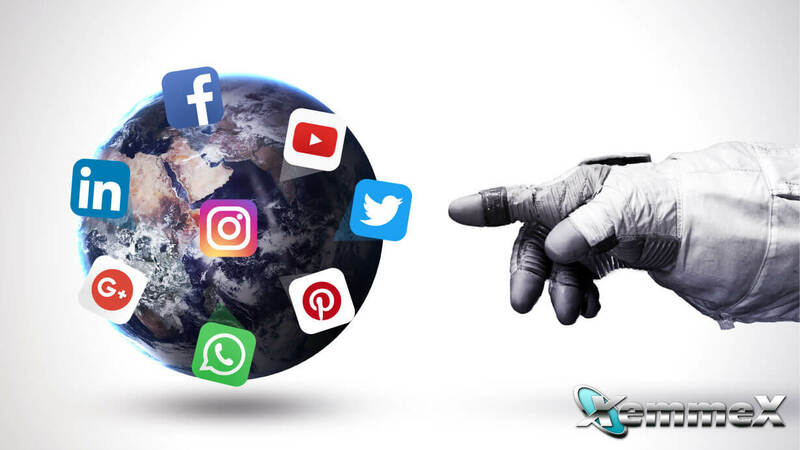 With this in mind, XemmeX offers you a complete planning and management program for your activities on social networks. In order to manage your campaign well, you have to be well prepared because it is easy to lose your footing by going down the wrong path and waste precious dollars from your marketing budget. We offer a full service analysis of your products and services to guide you in your choices, including the social approach to choose. Indeed there are many ways to attract visitors to your social profiles, but it is still necessary that they click on the links that will lead to the pages of your website displaying your products and services. With our SMO campaign management service we manage your advertising campaigns on social networks for you. This frees you from the hassle and time of managing a social advertising campaign. Every month, you will be able to appreciate the evolution of your campaigns, this by consulting the report aggregated statistics of social networks and Google Analytics, produced for this purpose by XemmeX.